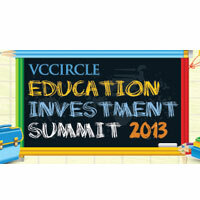 The fourth edition of VCCircle Education Investment Summit is finally here. Scheduled for November 20 (Wednesday) at ITC Sheraton, New Delhi, the summit will gather India's 250+ top and leading education CEOs, entrepreneurs, innovators, private equity & venture capital investors, regulators, investment bankers and consultants. As a special treat for our readers, we will live stream our panel on 'Lessons Learnt From Investing In Indian Education' at 10:00 am on November 20 (Wednesday). Click here for the live streaming link. Why education is not the top priority for investors? What had made investors so careful when investing in the education space? What are the high-growth segments that are investible today? What are the average financial returns earned by PE investors? What are the lessons learnt by the investors where entrepreneurs are stuck in regulatory hurdles? In panel and presentation formats, the fully day summit will discuss: How does Indian HRD ministry view Indian private for-profit education; lessons learnt from investing in Indian education; emerging opportunities for assessments in India; enhancing 'quality' and 'growth' in Indian schools; developing excellent higher education infrastructure in India; future of skill development in India; and technology-led disruption for Indian education players. Click here for the full summit details.